简介: The class covers the analysis and modeling of stochastic processes. Topics include measure theoretic probability, martingales, filtration, and stopping theorems, elements of large deviations theory, Brownian motion and reflected Brownian motion, stochastic integration and Ito calculus and functional limit theorems. In addition, the class will go over some applications to finance theory, insurance, queueing and inventory models. 简介: This course draws on a wide range of perspectives to explore the roots of long term competitive advantage in unusually successful firms. Using a combination of cases, simulations, readings and, most importantly, lively discussion, the course will explore the ways in which long term advantage is built from first mover advantage, increasing returns, and unique organizational competencies. We will focus particularly on the ways in which the actions of senior management build competitive advantage over time, and on the strategic implications of understanding the roots of a firm's success. 简介: This course covers the key quantitative methods of finance: financial econometrics and statistical inference for financial applications; dynamic optimization; Monte Carlo simulation; stochastic (Itô) calculus. These techniques, along with their computer implementation, are covered in depth. Application areas include portfolio management, risk management, derivatives, and proprietary trading. 简介: The fact of scarcity forces individuals, firms, and societies to choose among alternative uses – or allocations – of its limited resources. Accordingly, the first part of this summer course seeks to understand how economists model the choice process of individual consumers and firms, and how markets work to coordinate these choices. It also examines how well markets perform this function using the economist's criterion of market efficiency. 简介: uses case studies to investigate the macroeconomic environment in which firms operate. The first half of the course develops the basic tools of macroeconomic management: monetary, fiscal, and exchange rate policy. The class discusses recent emerging market and financial crises by examining their causes and considering how best to address them and prevent them from recurring in the future. The second half evaluates different strategies of economic development. Topics covered in the second half of this course include growth, the role of debt and foreign aid, and the reliance on natural resources. 简介: Explore how communities in transitioning economies around the world are working to enable the growth of entrepreneurship when the resources from the private sector alone are limited. 简介: Learn to create a project budget and schedule that delivers results under costs and time constraints. 简介: This course is an intensive one-week introduction to leadership, teams, and learning communities. The class meets daily for five days. The class serves as an introduction of concepts and uses a variety of experiential exercises to develop individual and team skills, as well as supportive relationships within the Leaders for Manufacturing class. As part of the focus on leadership, it discusses the idea of the "Universe Within", the images, thoughts, and experiences that are internal to all leaders. 简介: The purpose of this class is to advance your understanding of how to use financial information to value and analyze firms. We will apply your economics/accounting/finance skills to problems from today's business news to help us understand what is contained in financial reports, why firms report certain information, and how to be a sophisticated user of this information. 简介: 商务英语专项课程系列（Business English Specialization）, 这个系列包含3门子课程和1个毕业项目课程，涵盖管理和领导力，财务和经济，市场和销售等相关的商务英语学习，感兴趣的同学可以关注：Build Communication Skills in Business English-Advance in your career and broaden your abilities. 简介: 沃顿商学院商务基础专项课程系列（Business Foundations Specialization），该系列包含5门子课程和1门毕业项目课程，涵盖市场营销概论、财务会计概论、社会和人力资本管理, 运营管理概论、企业金融概论以及沃顿商务基础毕业项目，感兴趣的同学可以关注：Solve Real Business Problems-Build a foundation of core business skills in marketing, finance, accounting and operations. 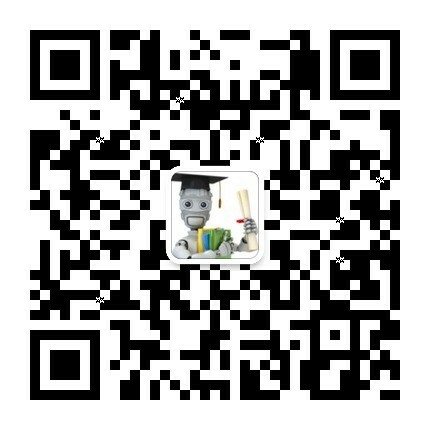 简介: 莱斯大学的商业统计和分析专项课程系列（Business Statistics and Analysis Specialization） ，该系列包含4门子课程和1门毕业项目课程，涵盖使用Excel进行数据分析，面向商业决策的基础数据描述、统计分布和应用，假设检验和置信区间估计的商业应用，面向商业统计的线性回归等，感兴趣的同学可以关注：Build Data Analysis and Business Modeling Skills-Gain the ability to apply statistics and data analysis tools to various business applications. 简介: 商业策略专项课程系列（Business Strategy Specialization）， 这个系列包含5门子课程，涵盖商业策略基础，高级商业策略，企业成长策略，战略规划和执行，商业策略实践等。感兴趣的同学可以关注：Steer Your Business to Success-Generate value and demonstrate global impact in four courses. 简介: 职业生涯品牌管理专项课程（Career Brand Management Specialization），该系列包含4门子课程，感兴趣的同学可以关注：Market Yourself Professionally-Learn how to develop, manage and communicate a strong career brand in just three courses. 简介: ¿Te has preguntado alguna vez qué criterios utilizan las empresas para contratar o retribuir a las personas? ¿Por qué no siempre entendemos los planes de promoción?. El objetivo de este curso es conocer algunas herramientas prácticas en materia de Recursos Humanos y aprender a gestionar personas y liderar el talento con la mayor eficacia posible. 简介: Communicating With Data has a distinctive structure and content, combining fundamental quantitative techniques of using data to make informed management decisions with illustrations of how real decision makers, even highly trained professionals, fall prey to errors and biases in their understanding. We present the fundamental concepts underlying the quantitative techniques as a way of thinking, not just a way of calculating, in order to enhance decision-making skills. Rather than survey all of the techniques of management science, we stress those fundamental concepts and tools that we believe are most important for the practical analysis of management decisions, presenting the material as much as possible in the context of realistic business situations from a variety of settings. Exercises and examples drawn from marketing, finance, operations management, strategy, and other management functions. 简介: Writing and speaking skills necessary for a career in management. Students polish communication strategies and methods through discussion, examples, and practice. Several written and oral assignments, most based on material from other subjects and from career development activities. Schedule and curriculum coordinated with 15.311 Organizational Processes class. Restricted to first-year Sloan School of Management graduate students. 简介: Communication, both verbal and nonverbal, is at the foundation of everything we do and say, and is especially important in the 21st century workplace. The focus of this course is to heighten your awareness of workplace communication, and equip you with new interpersonal skills. 简介: Your success as an academic will depend heavily on your ability to communicate to fellow researchers in your discipline, to colleagues in your department and university, to undergraduate and graduate students, and perhaps even to the public at large. Communicating well in an academic setting depends not only on following the basic rules that govern all good communication (for example, tailoring the message to meet the needs of a specific audience), but also on adhering to the particular norms of academic genres. 简介: This course is centered on twelve negotiation exercises that simulate competitive business situations. Specific topics covered include distributive bargaining (split the pie! ), mixed motive bargaining (several issues at stake) with two and with more than two parties, auctions and fair division. Ethical dilemmas in negotiation are discussed at various times throughout the course. 简介: This course aims to develop negotiation skills by active participation in a variety of negotiation settings, and a series of integrative bargaining cases between two and more than two parties over multiple issues. Ethical dilemmas in negotiation are discussed at various times throughout the course. 简介: In this six-week course you will learn how firms behave in situations in which strategic decisions are interdependent, i.e. where my actions affect my competitors' profits and vice versa. Using the basic tools of game theory, we will analyze how firms choose strategies to attain competitive advantage. 简介: This course is about "corporate entrepreneurship", my label for the alternative approaches that existing firms use to generate new technology-based products and businesses. It emphasizes various kinds of internal ventures and multiple "external" collaborative approaches that include corporate venture capital investments, licensing and different types of alliances and formal joint ventures. Basis for the new knowledge presented in this course is a combination of academic research and my personal experience supplemented by that of the several guest lecturers. 简介: Innovative management and inspired leadership need more than rules and knowledge: imagination, creativity and lateral thinking are also integral. This class offers students the opportunity to consider different ways to ask questions, ponder problems, discover opportunities and explore key concepts that inform the contemporary practice of management. 简介: Cross Cultural Leadership is a collaborative research seminar that examines what constitutes "effective" leadership across cultures. It is collaborative because the students are expected to provide some of the content. The weekly readings target particular aspects of cultural differentiation. Working within those topics, students are asked to describe aspects of leadership in particular cultures based on their research and/or personal experiences. The goal of the course is to help prepare students for business assignments outside of their native countries. 简介: Data that has relevance for managerial decisions is accumulating at an incredible rate due to a host of technological advances. Electronic data capture has become inexpensive and ubiquitous as a by-product of innovations such as the internet, e-commerce, electronic banking, point-of-sale devices, bar-code readers, and intelligent machines. Such data is often stored in data warehouses and data marts specifically intended for management decision support. Data mining is a rapidly growing field that is concerned with developing techniques to assist managers to make intelligent use of these repositories. A number of successful applications have been reported in areas such as credit rating, fraud detection, database marketing, customer relationship management, and stock market investments. The field of data mining has evolved from the disciplines of statistics and artificial intelligence. 简介: This course is designed to introduce first-year MBA students to the fundamental quantitative techniques of using data to make informed management decisions. In particular, the course focuses on various ways of modeling, or thinking structurally about, decision problems in order to enhance decision-making skills. Topics include decision analysis, probability, random variables, statistical estimation, regression, simulation, linear optimization, as well as nonlinear and discrete optimization. Management cases are used extensively to illustrate the practical use of modeling tools to improve the management practice. 简介: Explore how to identify and develop great ideas into great companies. Learn how to identify opportunities based on real customer needs. Develop solid business models. Create successful companies. 简介: This course builds on the theory and foundations of marketing analytics and focuses on practical application by demystifying the use of data in marketing and helping you realize the power of visualizing data with artful use of numbers found in the digital space. 简介: Learn the introductory theory and strategy behind marketing analytics that provides marketers with the foundation needed to apply data analytics to real-world challenges they confront daily in their professional lives. 简介: Discover the multiple channels used by digital marketers today and how to leverage them optimally. Interact with content and hear from industry experts invited to join the course. 简介: Learn the role of digital channels in an integrated marketing campaign and why you need a digital strategy. Interact with the content and hear from industry experts invited to join the course. 简介: 数字营销专项课程系列（Digital Marketing Specialization），该系列包含6门子课程和1门毕业项目课程，涵盖数字世界中的市场营销，营销专业人员的数字分析，市场分析理论，市场分析实践，数字营销渠道，数字营销规划等，感兴趣的同学可以关注：Drive Customer Behavior Online-A five-course overview of the latest digital marketing skills, taught by industry experts. 简介: This course is designed to lay the foundations of good empirical research in the social sciences. It does not deal with specific techniques per se, but rather with the assumptions and the logic underlying social research. Students become acquainted with a variety of approaches to research design, and are helped to develop their own research projects and to evaluate the products of empirical research. 简介: A large proportion of contemporary research on organizations, strategy and management relies on quantitative research methods. This course is designed to provide an introduction to some of the most commonly used quantitative techniques, including logit/probit models, count models, event history models, and pooled cross-section techniques. 简介: The first two weeks of this course are an overview of performing improvisation with introductory and advanced exercises in the techniques of improvisation. The final four weeks focus on applying these concepts in business situations to practice and mastering these improvisation tools in leadership learning. 简介: If you are an entrepreneur, one of your priorities, in addition to building your company, is ensuring you have enough money at the right times. Early Stage Capital will consider a broad range of questions that entrepreneurs deal with on this front, including the following: What should your strategy and your priorities be in raising early stage capital? What are the market norms and standards in structuring VC deals? What are the critical negotiating strategies and tactics? How will your company be valued? How can you obtain the optimal valuation for your new venture? What are the critical elements in the relationship between venture capitalists and entrepreneurs? How is the "venture model" evolving? Is it broken? What is the impact of Super Angels and micro VCs? 简介: 15.010 is the Sloan School's core subject in microeconomics, with sections for non-Sloan students labeled 15.011. Our objective is to give you a working knowledge of the analytical tools that bear most directly on the economic decisions firms must regularly make. We will emphasize market structure and industrial performance, including the strategic interaction of firms. We will examine the behavior of individual markets -- and the producers and consumers that sell and buy in those markets -- in some detail, focusing on cost analysis, the determinants of market demand, pricing strategy, market power, and the implications of government regulatory policies. We will also examine the implications of economics on other business practices, such as incentive plans, auctions, and transfer pricing. 简介: As markets or production bases, China and India are becoming important and integral players in the global economy. Foreign direct investment (FDI), portfolio investments and outsourcing businesses have increased dramatically in these two economies. Despite the rising importance of these two economies on the world stage, our knowledge and analysis of these two countries in an integrated manner has remained poor. The two are often lumped together by business analysts as "emerging markets," despite the substantial differences in their political systems, reform policies and business organizations. Academics, in contrast, have tended to treat the two countries separately, preferring to specialize in issues and questions specific to one or the other country.